Earthworks Version 1.7 is ideal for motor graders and other types of equipment. "The introduction of the motor grader into the Trimble Earthworks platform completes the family of earthmoving machines," said Scott Crozier, general manager of Trimble Civil Engineering and Construction. "Now contractors can realize even faster ROI, more uptime and increased portability across their fleet of heavy equipment." 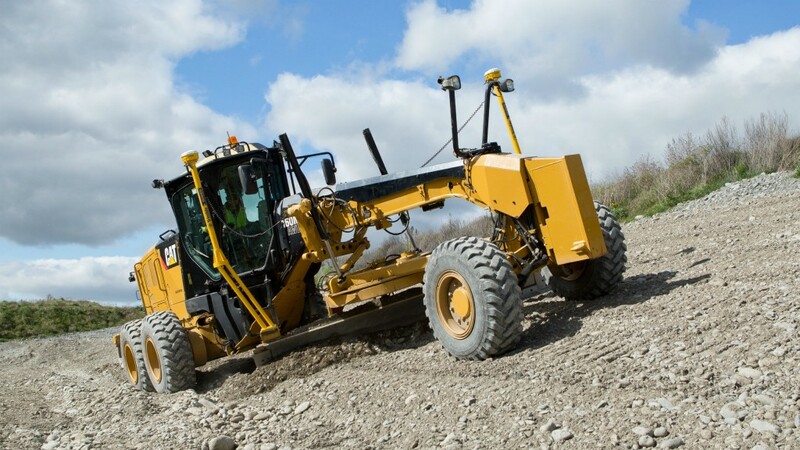 Trimble Earthworks for Motor Graders leverages Inertial Measurement Unit (IMU) sensor technology in combination with GNSS, resulting in increased accuracy and stability in fine grading applications. Operators will enjoy the same intuitive, easy-to-use and learn Trimble Earthworks software available for excavators and dozers. Contractors can take advantage of the increased hardware portability available across their fleet for an even quicker return on their machine control investment. When tiltrotators are used with Trimble Earthworks for Excavators, the bucket position and orientation are always visible regardless of bucket rotation. The operator can see the height and the rotation relative to the design, so the attachment can be more efficient. Now, Trimble Earthworks can automate the tilt functions of a tiltrotator to enable operators of all skill levels to be significantly more productive when using these attachments. Trimble and Liebherr have introduced a Trimble Ready factory option for new Liebherr PR736 Generation 8 bulldozers. PR736 Generation 8 bulldozers that ship direct from the Liebherr factory are now ready for the installation of the Trimble Earthworks Grade Control Platform, which can significantly reduce the cost and complexity of the installation for the contractor. The announcement was made at bauma 2019. Hydrema has updated its 20-ton 922 articulated dump truck. Fitted with the latest Stage 5 engine from Cummins the new G series will now be available in two versions, the 922G and the new 920G. Small contractors handling small earthmoving or landscaping jobs often have small machines in their fleet, but that doesn't mean they only do small jobs. There are plenty of opportunities for local contractors to take on work that might need the precision of bigger contracts - precision that often comes with a big price tag. John Deere's latest additions to their crawler loader line - the 655K and 755K - build on the strength of the K-Series K-Series lineup, delivering greater productivity and uptime, along with lower daily operating costs.